The picture collection from the Abbey of Lilienfeld, Austria. 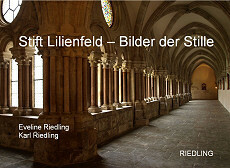 In Lilienfeld lies the largest medieval monastic complex of Austria: with the medieval cloister, the chapter hall, the dormitory for the lay brothers, the cellar and the largest church of Lower Austria. It was founded 1202. The book presents strong and meditative pictures. You can purchase this book at the Cellarium Webshop under "Illustrated Books". 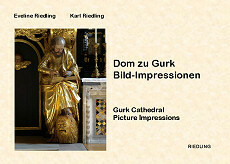 An illustrated book with impressive pictures from the cathedral in Gurk, Carinthia. Extending from romanesque to baroque style, from fresco paintings to the main altar with its impressively friendly life-sized statues - you can hardly fail to feel the impression of this cathedral, which has been a place of pilgrimage for centuries. Particularly touching is the tomb of Saint Hemma.